This truck model was actually a commissioned model from someone last year, but it never made into a complete payment, so I decided to share the model template with you all and make a use of it. 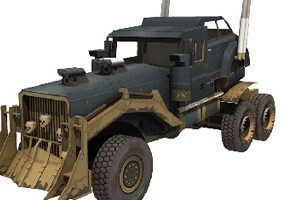 The truck is a MAN TGM 18.340. 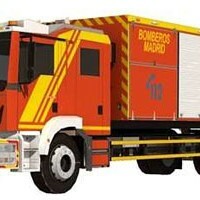 The model uses color scheme from Madrid Firefighter or Bomberos Madrid trucks. The scale is 1:32. The template use 2 type of paper material, which are ordinary 160 gsm plain paper and 2-3 mm thick hard-board or cardboard. There 9 pages of template that you can print, cut, fold, glue and then assembly it into a model truck. Another beautiful BMW M3 GTR paint scheme paper model template done by our friend Sergey Timinsky. This car is belong to Prototype Technology Group, a racing team from United States founded by Tom Milner (Tommy Milner). The paint scheme itself was used when they participated on Grand-Am Road Racing in 2004, which was held on Virginia International Raceway. The drivers are Billy Johnson and Tom Milner himself. As usual Sergey also made a 1:24 scale version of this template which you can find it after 1:16 scale template pages. You can use assembly instructions from the BMW M3 GTR. This new model was submitted by Sergey Timinsky. 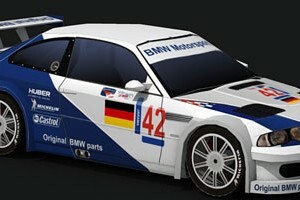 He recolored again the BMW M3 GT. This time he paint or draw the model car with a scheme that BMW Motorsport was using. The real with this color scheme was driven by Jörg Müller and J.J. Lehto when participating in 2001 European Le Mans Series (ELMS) that was held in Jarama Spain and won the 5th position.The 2001 ELMS at Jarama was the third race for the 2001 European Le Mans Series season and the fourth round of the American Le Mans Series season (ALMS). ALMS and ELMS are world class touring car competition, it was inspired by 24 Hours of Le Mans, which is 24 hour endurance racing competition that always held in Le Mans France. ALMS however is based in the United States and Canada, so the race is held in the United States. 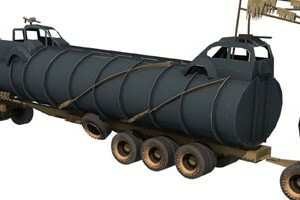 Sergey once again made available the template as 1:16 and 1:24 scale.